With a New England upbringing, and a year under his belt at a surf shop in Palm Beach Florida, owner Mark Anastas had dreams of someday opening a surf shop in Southern Maine. One might say he had 'Liquid Dreams...' Born in the spring of 1996, Liquid Dreams Surf Shop opened it's doors in Ogunquit, Maine and quickly became Maine's largest surf shop.  Mark's goal was to provide local surfers and visitors the best surfing gear, at the best prices, with a friendly attitude. 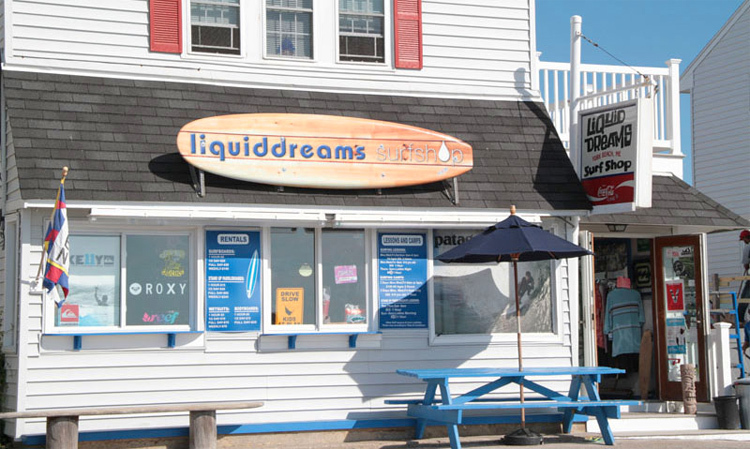 The staff at Liquid Dreams is a veritable family of local surfers that pride themselves on having the most knowledge of surfing and surfing equipment on the Maine coast. Bottom line... we love surfing... it's just what we do. A property Mark had been considering for several years became available, and his dreams finally came to fruition. With perfect timing, the location originally occupied by "Vinny's East Coast Grill" went on the market. After many late nights crunching numbers and contemplating the future, Mark and Rachel made the decision to jump in, and the property was purchased in late March. One of the biggest challenges was converting an 8,500 sq ft restaurant into a retail location. With extensive help from our friend Shannon Baker and Apex Development, a renovation that should have taken 6 months was completed in 2. 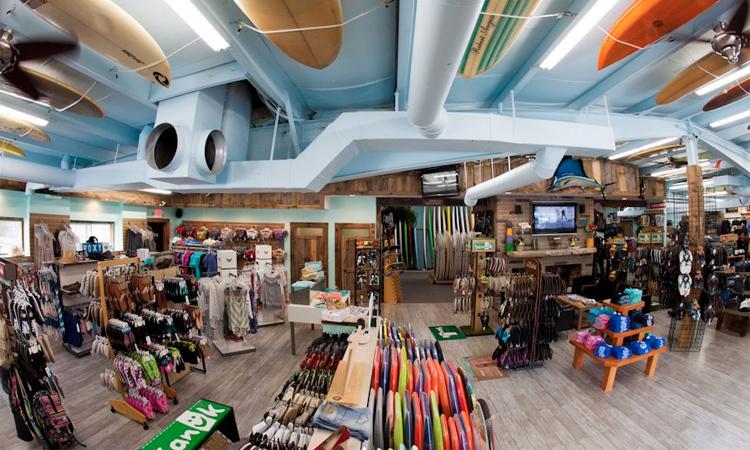 Today Liquid Dreams Surf Shop boasts over 5,000 sq ft of retail space, 90 parking spaces, as well as more than 60 collectible and antique surfboards, art from local artists, and live webcasts of all the best surf competitions on all of our flatscreen TV's. 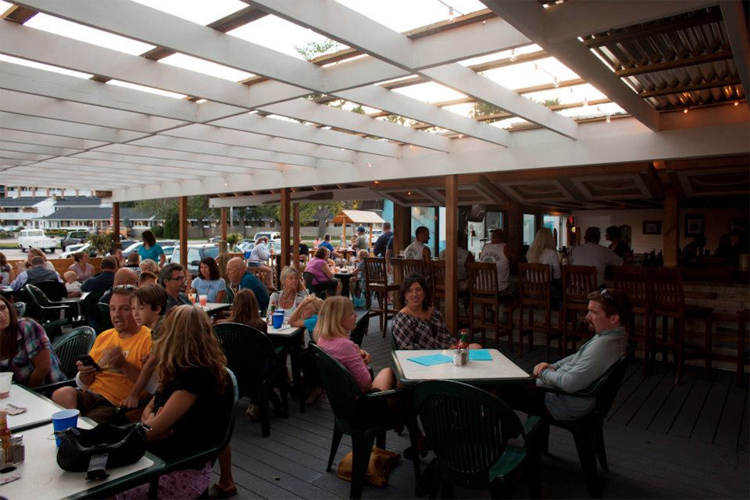 Summer of 2012 came with the addition of 'Hooks Chill and Grill' restaurant to the LDS shop in Ogunquit. With a mexi-carribean inspired menu, full bar, indoor and outdoor seating, as well as hosting receptions, live music, and events, Hooks quickly became the local hangout for surfers and non-surfers alike. Going to the beach is fun, catching waves is fun, and more than anything else, we want your experience at LDS to be fun, so the next time you are on the Southern Maine coast, be sure to look us up at Liquid Dreams Surf Shop! See you in the water! -Mark, Rachel, Jake, Evan, Sandy and the LDSS crew.